Dr. Thomas Francomano started practice in Saratoga Springs some 35 years ago. One of the region’s ophthalmology and optometry practices has joined Saratoga Hospital’s multispecialty medical group. As of Jan. 1, Eye Care Specialists became Saratoga Hospital Medical Group-Eye Care. Drs. Thomas Francomano, Mark Verra and Enrique Yepes-Hoyos remain in practice together in the new group. They are seeing patients on Saratoga Hospital’s Wilton Campus, in newly renovated offices on the second floor of Saratoga Surgery Center. Hospital officials said that for the doctors, joining the medical group offers increased opportunities to collaborate on patient care and keep pace with changing technology, such as electronic health records. Even more important is the fundamental commitment—of the hospital and medical group—to put patients first. Dr. Enrique Yepes-Hoyos is board certified in optometry. A graduate of Columbia University College of Physicians and Surgeons, he completed an internship and residency at St. Luke’s-Roosevelt Hospital Center in New York City. 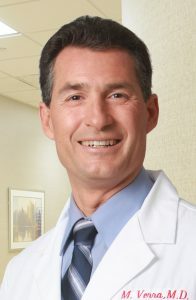 Francomano is board certified in ophthalmology and a fellow of the American College of Surgeons. Verra grew up in Loudonville and went on to graduate from SUNY Buffalo School of Medicine. He completed an internship at Medical Center of Delaware and a residency at Wills Eye Hospital in Philadelphia. 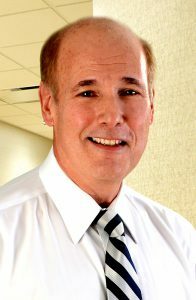 He is board certified in ophthalmology and a fellow of the American College of Surgeons. 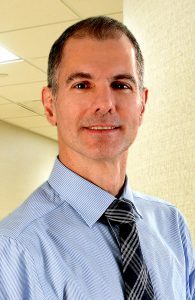 Dr. Mark Verra is part of Saratoga Hospital Medical Group-Eye Care. Yepes-Hoyos is a graduate of New England College of Optometry. He completed an internship at the Veterans Affairs Boston Healthcare System, Brockton Campus, and a residency in geriatric optometry, also with the VA Boston Healthcare System. He is board certified in optometry. Saratoga Hospital Medical Group – Eye Care is located on Saratoga Hospital’s Wilton Campus at 3050 Route 50, Suite 203. To make an appointment, call 518-587-8400. For more information, go to www.SaratogaHospital.org.